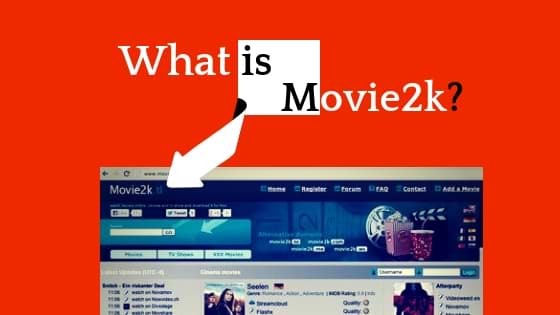 If you are encountering Movie2k Ads endorsing the online video streaming service Movie2k on your system, then it is possible that your system is infected with malicious software. Movie2k is classified as an adware program which operates via web scripts. It gets downloaded as software packages and immediately changes the home page settings and generates pop up ads on a computer screen. It is a malicious program which results in constant redirection and irrelevant search results. Keep reading this article to find more information about its effects, the method of invasion and the removal process of Movie2k. Movie2k is promoted as a video streaming service app, which offers free online movies and videos in HD quality and multiple genres. Each program has a specific purpose, and Movie2k is not an exception in the list. Masters and the creators of this program claim it to be malware free, but what lies behind the screen is a lot different. The real task of this malicious program is to redirect users to a sponsored domain, display promotional ads and earn revenue based on the pay-per-click technique just like a browser hijacker. Agreeing with the presence of Movie2k in your system may result in dire consequences. Hence removing Movie2k is imperative for system health and data security. Movie streaming sites is the home for Adware infections like Movie2k. These ads specifically aim to increase the installation of questionable content on your system. A single click on these add will redirect users to sponsored domains and earn revenue for its developers via PPC methodology. How harmful is adware infection? Adware infection is placed quite low on the severity scale and does not have any direct impact on the Operating System. However, it will surely hamper your browsing sessions by displaying unwanted ads. Given more time it also weakens your firewall system and connects your system to a “Control and command center” and gathers user’s confidential information including IP address, location, browsing pattern, its history, and other vital information. This is one of the most widely used methods of spreading Movie2k infection. These emails usually appear to be from legitimate sources like Banks. Links and attachments contained in the body of spam email are infected and may result in a compromised PC. Pieces of malicious software are bundled with freeware and shareware programs available online. Authorizing the installation process without understanding the EULA Agreement leads to adware invasion and a compromised PC. Hijackers are widely using infected link and attractive ads placed on Social media platforms for spreading PC threats. Users are advised not to click on such ads. Sharing files over the P2P network and Torrent files are other prominent sources of adware infection. USB drives, pen drives, and other portable devices are also used to infect systems worldwide. Visiting infected web links and third party sites may also result in a compromised PC. Fake security alerts and system update alerts are also used to infect systems. Once infected with Movie2k adware infection, your system might show some of the below-mentioned symptoms. The third party Sponsored ads are displayed on all web pages that you visit. Casual web page text is spun into hyperlinks. Fake browser and system update notifications will keep popping up out of nowhere. It may also result in the backdoor entry of other unwanted adware programs without the user’s knowledge. It changes your browser settings and searches engine parameters. Reduced system and browser speed, with low internet connectivity. Being attentive during the installation process of freeware and shareware programs can save your system from adware infection to a great extent. It is always recommended to read the “Terms and Conditions” mentioned in the License agreement. It is always recommended to opt for the custom installation procedure and opt out for any unfamiliar software getting downloaded along with the utility program. Life-Saving Advice: Never download software programs that you don’t trust. If you don’t want to keep your computer security at stake, it is recommended to get rid of Movie2k as soon as possible from your system. – Uninstall Movie2k adware infection from OS. – Remove Movie2k from your web browser. Removes adware infection for forever from your system. Work efficiently alongside the firewall system and provide future protection from PC threats. 24/7 protection from all odds and zero-day threats. Performs system scan, detects and remove malware within seconds. Download today for 100% malware detection. Install Malware Crusher from its official site. Select Movie2k and then press Uninstall to remove it. Type Regedit.exe in the dialog box. Next, click on the Uninstall button. Select Movie2k and then click on Uninstall to remove the program. From the internet, options choose the General option. Open Tools, and click on the Internet Options. Choose General and then open the Tab option. Open customize and control option in Google Chrome window. Open the extensions tab from Tools menu. Customize and control Google Chrome> Settings> On startup> Set Page> enter” about:blank”. Open a web browser in safari. Open the General safari settings menu. To reset settings click on Reset button. Open Opera and click on Customize and control Opera. Select Movie2k and hit enter on the “Remove from Opera” button. From the Opera browser choose Customize and control opera option. Open the Settings tab and click on the Startup button. Open the page and click on “Set Page” to reset homepage settings. Next Post:Detailed Information about What is Bloatware?